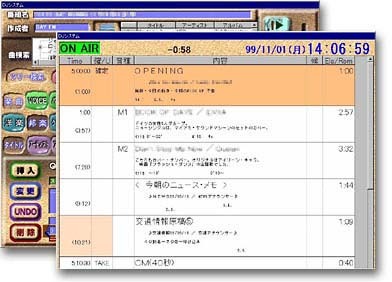 LIVE STATION, a new broadcasting system being one of the most suitable for producing live programs, has functions that are not found in existing system, i.e. "one-man DJ". Tunes are preliminary scheduled in a Q-sheet system with additional information such as timing notice, scripts and tune data. On the air, DJ broadcasts numbers with fader-start while confirming additional information. Requests can be added upon occasion.